As you may know, I recently stepped into a new role at my library as the Collection Development Librarian. One of my duties is, of course, maintaining our electronic collections. This means ordering and managing our ebook collections. There's a lot I'm still figuring out about this job and ebooks is one of them. Part of the problem is that we're all still figuring out ebooks, including the vendors and publishers. Yes, ebooks have been available to libraries for years now, but the pricing schemes are still sometimes ridiculous and I just have to hope that someday they may become more reasonable. At my library, we currently use Overdrive for ebooks and e-audiobooks and we just recently subscribed to Hoopla for downloadable movies, music, ebooks, and audiobooks. Since Hoopla is really new to us, I'm closely monitoring how it's doing. Hoopla operates on a cost-per-circ model. That means we pay nothing to make the entire catalog of Hoopla's offerings available to our patrons; we only pay when our patrons actually download the material. And everything Hoopla offers can have simultaneous users, meaning there is never a holds list, all Hoopla materials are always available. We offer 8 downloads a month to our patrons. Overdrive has recently offered a selection of books that can be offered on a cost-per-circ model, but I haven't explored it in depth yet. I'm waiting to see what our spending on Hoopla will be once it evens out a bit. I want to offer our patrons what they want to read. I want to purchase the newest releases and the best-selling titles. But it becomes a balancing act because these titles are almost always incredibly expensive. 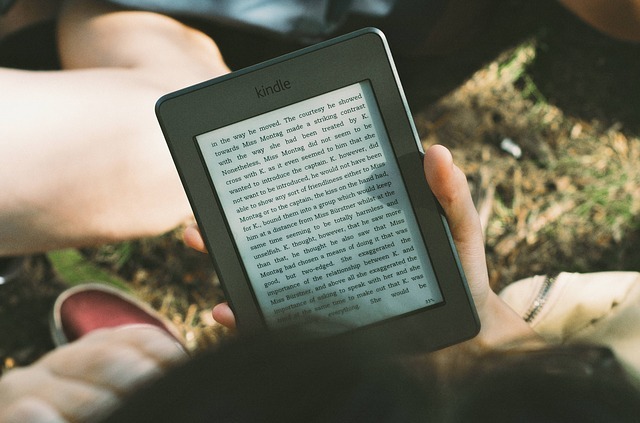 Depending on the publisher, an adult ebook could be upwards of $60-70 per copy (and that one copy can only be checked out by one user at a time). Popular downloadable audiobooks often run $80-90 per copy. I want to provide the most in-demand stuff, but my budget only stretches so far. When I might not think twice about buying 5 or 6 copies of popular print books, doing that with ebooks might break the bank. So that means lots of decision-making. It's also fascinating to me to see titles that circ like crazy as downloadable when the print copies sit collecting dust on our shelves. Lots of teen titles, in particular, are like this. I'm astonished at the high number of ebook circulations for some whose print counterparts collect dust on the shelves. The children's ebooks are the opposite of that (for the most part). We tried to build up a good selection of children's materials, thinking that the way to convince families to use them is to have them there so we can promote them. But a lot of the children's material has very low circulation, particularly when compared to adult titles. It's another conundrum: I have a special passion to provide high-quality children's material in all formats. But if it doesn't check out, how can I justify spending my limited budget on it when I know I could buy adult titles that would check out? I mostly have questions and no answers here, but one technique I have had some success with is placing small orders each week. I try to place an Overdrive order once a week so that there's something new on a regular basis. This helps to keep our circulation up as it keeps people coming back to check for new stuff. Even if the new stuff has a wait list, they may discover something else they want if they're in the mood to download a book. It's frustrating to look at my weekly budget and know that I will only be able to afford 10-15 titles a week (and a lot of times those get eaten up by additional copies to satisfy holds or by copies that have reached the end of their metered access and I need to replace them). But I just take each victory as it comes. Whenever I buy something and then see that it's checked out, I do a little happy dance. What are your techniques for ordering ebooks? Any special tricks I should know?